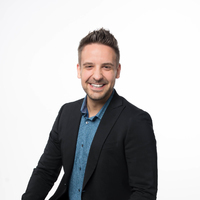 Benjamin John Ouellette is a TOP advocate for the hottest trends in the kitchen & bath industries and has been featured in Globe & Mail, Reno & Decor, KBB, NKBA, and Grand Magazines, and the ‘Kitchen Remodeling Made Easy’ podcast, among others. Benjamin has a number of international design & industry awards including 3rd place small kitchen at the 2019 NKBA Ontario Awards, 1st place Large Bath at the 2018 NKBA Ontario Awards, NKBA 30 Under 30 Award 2016, two back-to-back North American Elite Design Awards, and two SABA design awards 2016. Routinely attending KBIS (Kitchen & Bath Industry Show), he has spoken on different topics from tech trends to 3D visualization software and how it affects the customer experience. As a regular world traveler, Benjamin searches for new concepts and products to assist with his designs, broaden his understanding of interior design, and offer his clients cutting-edge solutions that assist in daily life. Benjamin has worked with numerous prominent clients from all walks of life, with different aspirations and needs. Waterloo is a technological hub of Canada, allowing Benjamin to emphasize modern technology while customizing clients’ homes and provide innovative solutions from the floor up. Benjamin’s passion for this ever-changing industry is undeniable, and he is excited about finding new ways of synthesis of interior design and technology.